Most people have heard about "converting" or "upgrading" from the third preference employment-based visa category (EB-3) to the second preference employment-based visa category (EB-2) for faster immigration. The reason is that, traditionally, the EB-2 category is a lot faster than the EB-3 category due to its higher requirements. Generally speaking, an EB-2 applicant is required to possess an advanced degree while the his EB-3 counterpart only needs a bachelor's degree or two years of experience. However, recently, for Chinese-born applicants, the opposite is true -- they may actually be able to obtain permanent resident status faster by converting or "downgrading" to the EB-3 category. The reason is that for the past six months, the cut-off dates for EB-3 China have actually been more recent than the EB-2 cut-off dates, and recent cut-off dates mean shorter waiting time. For example, in December 2013's Visa Bulletin, the cut-off date for EB-3 China is October 1, 2011 while the cut-off date for EB-2 China is November 8, 2008. It means that, among Chinese-born visa applicants, advanced degree holders who have a pending EB-2 case must wait longer than the EB-3 applicants. Although it doesn't seem to make sense, one must understand that visa number allocation is not based on logic but depends on demand and supply. Currently, demand for EB-2 visas among Chinese applicants is greater than demand for EB-3 visas. For Chinese nationals who have pending EB-2 I-140 visa petitions, they actually have a way to speed up their application process by taking advantage of the more recent EB-3 cut-off dates. Under the current USCIS policy, one is allowed to file more than one I-140 visa petition under different visa categories, provided that he or she meets the requirements for each category. Additionally, one is allowed to keep the priority date from an earlier case in subsequent I-140 petitions. It means that once an applicant has an approved I-140 employment-based visa petition, he or she can use this priority date in future visa applications without having to wait in line again. Although it is possible to convert from EB-2 to EB-3 visa category, the actual process can be tricky and complicated. First and foremost, applicants must be careful that they don't do anything to jeopardize their approved EB-2 petitions. There is no need to withdraw or revoke the previously-approved I-140 petitions in order to file a new petition. Applicants, working with their employers, must also ensure that they meet the requirements for the new visa category. It is important to note that any new visa petition must be filed by an employer, and this employer can be the same employer as in the first petition or a new one. There are other issues to consider when attempting to convert from the EB-2 to EB-3 visa category. For example, normally one must obtain a PERM labor certification from the Department of Labor (DOL) before filing an I-140 employment-based immigrant visa petition. The labor certification process is a lengthy one especially when there is an audit involved. Further, an approved labor certification is only valid for 180 days under the new labor regulation. One may use an approved labor certification to support a second visa petition within the 180-day validity period. If this window is missed, one must request for an exception to this rule. As part of the conversion process, one must also make sure that any pending I-485 adjustment of status application is correctly matched with the new visa petition. In short, with careful planning and assistance of a competent immigration attorney, it is possible for Chinese applicants to convert from the EB-2 to EB-3 visa category to shorten the green card application process. Updates: The December 2014 and January 2015 once again provide new opportunities for qualified Chinese applicants to downgrade or convert their cases from EB-2 to EB-3 to take advantage of the advancement in EB-3 category. This happened again in 2017 (Ex., October and November 2017). Our office has successfully helped Chinese applicants obtain their green cards faster through this "downgrading" process. 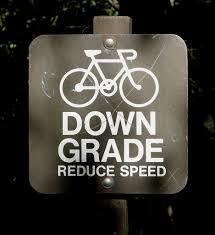 Readers have inquired about the current prospects of "downgrading". Our office has continued to get approvals for downgrading petitions from EB-2 to EB-3 for Chinese applicants. However, each application is adjudicated based on the facts and merits of the case. The regulatory requirements must be met before an application can be approved. Applicants must be careful and thorough when preparing for any "downgrading" applications.